This crisp, go-anywhere top is perfect for everything from a garden party to date night! 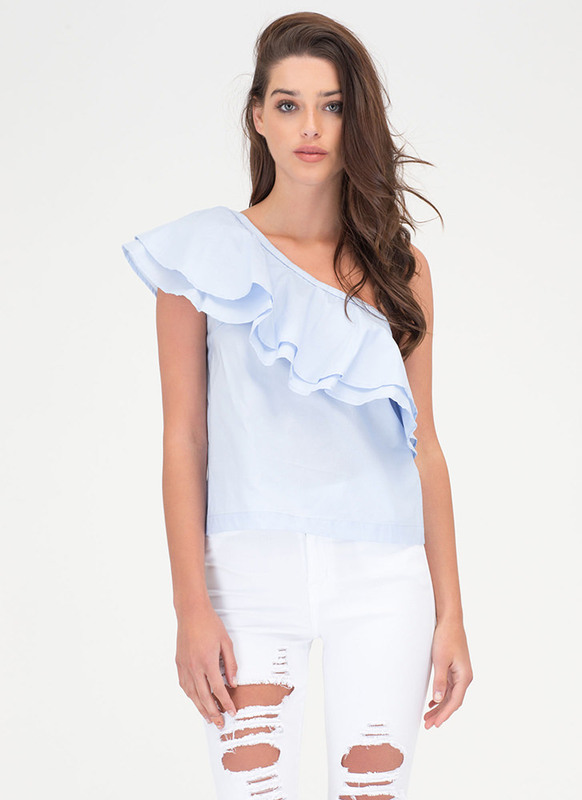 Lightweight, non-stretchy top features a diagonal, single shoulder silhouette trimmed with double-tiered, ruffled panels. Finished with an elasticized neckline. No closures.